Tour the World is a music video from the album Brain Beats 2. It was created using 2D animations in Autodesk's Sketchbook by artist Craighton Berman, cut and timed to match the pace of the lyrics. 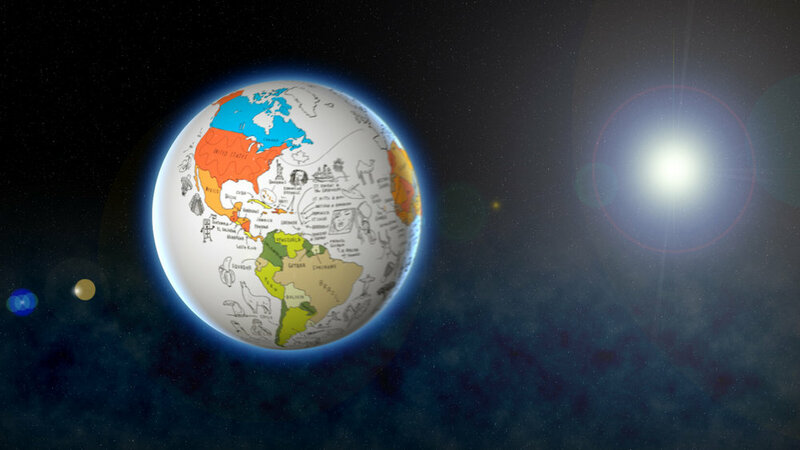 We then used After Effects to create space, atmosphere, the sun, and to transform the 2D animations into a 3D view of the Earth. The globe's position, scale, and rotation were keyframed to follow the animations as they move around the world. As of 2017, this video has had over 7.3 million views on YouTube. Tour the World was a follow-up to the Tour the States music video. We created this video one year earlier. As of 2017, Tour the States had over 22.7 million views on YouTube. Craighton is in this video physically drawing the map, Brad Tylor edited the video, and Renald Francoeur created both songs.